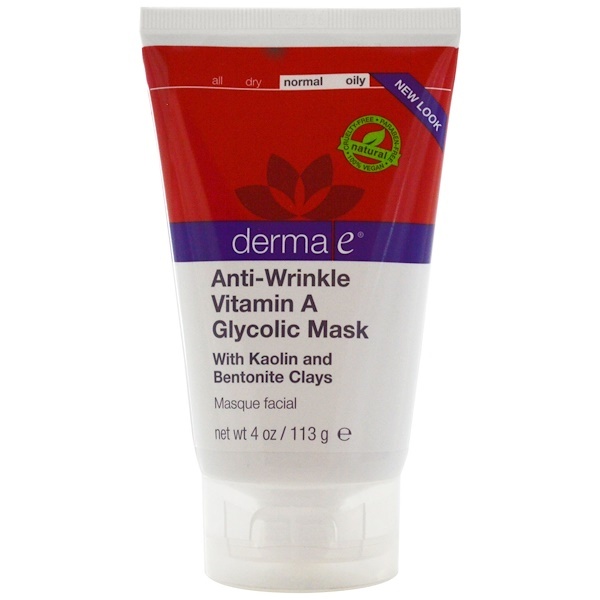 Anti-Wrinkle Vitamin A Glycolic Mask helps refine the look of wrinkles, pores and imperfections. Skin-renewing Vitamin A, sloughing Glycolic Acid and natural astringent Willow Bark promotes fresh, smooth, youthful skin. After cleansing, apply a generous amount to skin, thoroughly covering areas you wish to refine, but avoiding the eye area. Leave on 10 minutes, rinse and tone. Purified water (aqua), kaolin, bentonite, caprylic/capric triglyceride, glycerin, glyceryl stearate SE, stearyl alcohol, glyceryl stearate citrate, organic calendula officinalis extract* (.1%), hamamelis virginiana (witch hazel) extract, retinyl palmitate (vitamin A), glycolic acid, salix alba (willow) bark extract, salicylic acid, organic aloe barbadensis leaf extract* (.1%), allantoin, propanediol, xanthan gum, potassium sorbate, phenoxyethanol, ethylhexylglycerin.